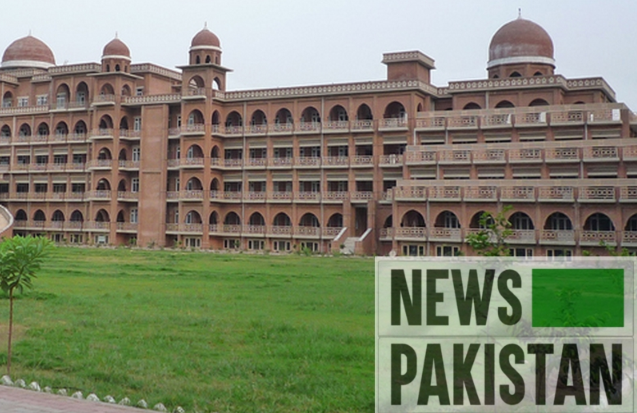 PESHAWAR: A syndicate meeting of Peshawar University (UoP) chaired by Vice Chancellor Dr. Muhammad Asif Khan principally approved recommendations forwarded by Academic Council, Study Leave and Affiliation Committee. The meeting also approved the proposed workload policy under which Assistant Professors and Associate Professors would perform nine and six hours duty, respectively throughout a week. The meeting also capped the benevolent fund limit up to Rs. 960 and approved the recommendations of Taskforce for commercialization and directed the committee to present the details before the syndicate in this regard. Inflated gas bills: Customers to get Rs. 2.5b back! ISLAMABAD: The government has worked out a uniform education policy to ensure level-playing field for the students of public and private school system in the country, said Federal Minister for Education Shafqat Mahmood on Thursday. He said the Federal Ministry of Education and Professional Training was focusing on equitable education system wherein more or less all children will have access to a single uniform curriculum. He was addressing the High-Achievers (Northern Region) ceremony of Beaconhouse School System at Convention Center. Congratulating the distinction-holders of ordinary and advance level 2017-18 and their guardians, Shafqat Mahmood said parents did play central role in producing go-getters of the society as education was partly done at home and partly at educational institutions. “Teachers should also be appreciated as students could not see the success day without their hard work and dedication,” he added. He also lauded the efforts of Beacon house School System for bringing out talent of the country. Dilating on the education system, he said there was a deteriorated situation in public sector schools when Pakistan Tehreek-e-Insaf came to power and since the day one, the ministry was striving to rectify the situation in this sector. “There are around 20 million children still out of schools and corrective measures are needed to enroll them,” he added. He endorsed the observation of the apex court that the students of private and governments schools be ensure same facilities to achieve target of quality education in the country. ISLAMABAD: A survey conducted by Punjab Commission on Status of Women here Thursday reveled that early marriages and early motherhood restrict choices for women to participate in any kind of activity. According to survey report, women in general and young women in particular face barriers that restrict their economic mobility and work. In Punjab, 47 percent of women are currently not in education, employment or training (NEET) rate. Women feel their lack of qualifications, lack of appropriate job and training opportunities, domestic work responsibilities, inadequate promotion opportunities, lack of transport and accommodation, family and conduct of male colleagues are the major barriers, it added. It said that 31 percent of women are in labor force but only one third are in paid employment, 34 percent of women have computer literacy with only 21 percent have access to the internet. Punjab has population of 110 million, with 49 percent women in which literacy rate is 69 percent for the young women compared to 80 percent for men. Survey reveled that 16 percent of women are married before 18 and only 3 percent of young women are married before age of 15 or 12 percent gave birth before age of 18. Pakistan have lower secondary school enrollment of girls as compared to other countries, survey said. Survey shows that about 9.5 percent of young women have attained a B.A degree and above, of which 17 percent are urban, compared to 4.8 percent of their rural peers. Survey stressed that there is a need to improve opportunities for education, employment and civic engagement to enhance young women potential and ability to exercise their rights. There is also need for freedom from violence through enhanced state prevention, protection and redress mechanisms and mass media campaign should target changing young women’s behavior.